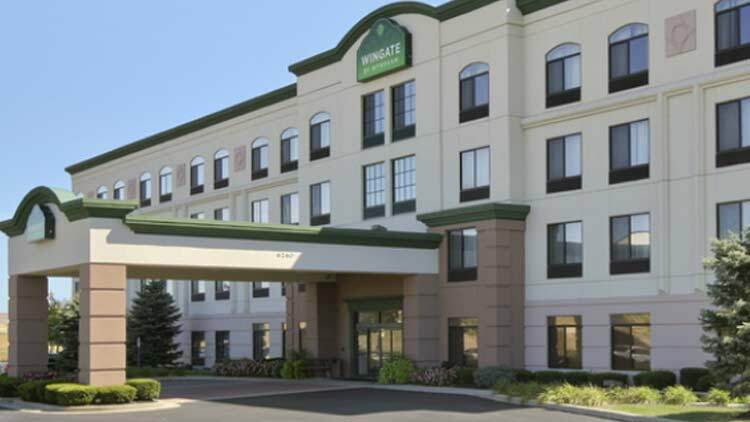 Conveniently located between I-465 and I-65 at 71st St., the Wingate by Wyndham is "built for business" with well-appointed oversized rooms, free high speed Internet access, two-line speaker phone with data port, cordless phone and executive desk and chair. Other outstanding amenities include pillow-top mattress, refrigerator, microwave, coffeemaker, 32" LCD flat screen TV, DVD player, desk clock radio with iPOD docking station, in-room safe, hair dryer and iron and ironing board in every room. Enjoy the complimentary full breakfast, free use of the business center's computer, expanded fitness center or relax in the indoor pool with whirlpool spa. Whether staying for business or leisure, the friendly personnel will ensure you have a wonderful stay while in Indianapolis!